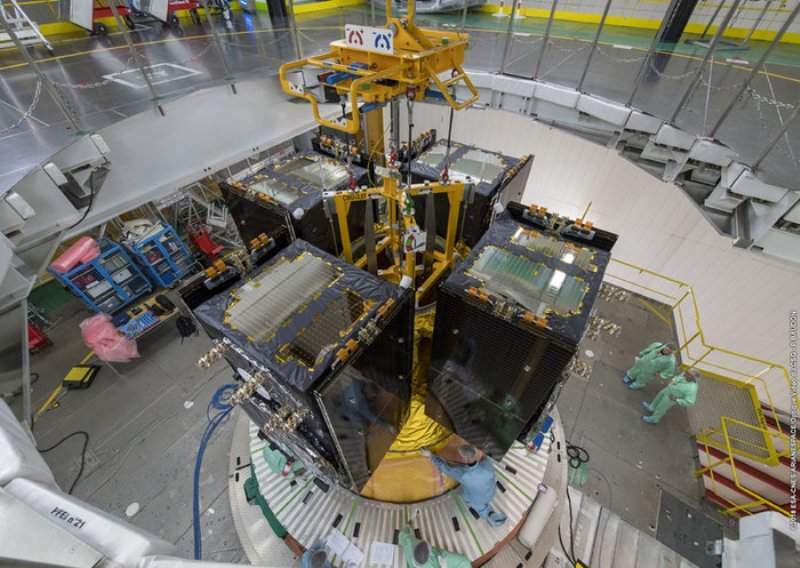 Galileo quartet placed atop Ariane 5 rocket. Credit: ESA/CNES/Arianespace/Optique Video du CSG - P Baudon. The UK Government is set to invest £92m in the development of its own satellite-based navigation system to substitute the European Union’s (EU) Galileo system after Brexit. Part of the UK’s £3bn ‘Brexit readiness fund’, the investment will be used to investigate the potential of developing an alternative navigation system over a period of 18 months. UK Space Agency will lead the work for the proposed British Global Navigation Satellite System, with support from the Ministry of Defence. UK Prime Minister Theresa May was quoted by Bloomberg as saying: “We cannot be an ‘end user’, shut out from security discussions and contracts, and without critical information about the system’s security. The Galileo system was developed to rival the US’ Global Positioning System (GPS). Scheduled to be fully operational by 2020, the system will include a constellation of 30 satellites to serve both the military and civil customers. Currently, the system operates 26 satellites. The UK has so far provided £1.2bn to develop the Galileo system, but the EU has begun to exclude Britain from the security aspects of its development, triggering a row. According to a recent study commissioned by the UK Government, sustained disruption to satellite navigation could cost the UK economy £1bn a day.